Best Survival Video Games: Are Games a Good Prepper Training Tool? As a culture, we’ve always been fascinated by the apocalypse that somehow always seems to be just around the corner. From survivalist shows like the Walking Dead to Post-Apocalyptic movies and Dystopian novels like the Hunger Games, there’s a never-ending stream of Apocalyptic content and entertainment. For survivalists, it’s not only entertaining, but it can open your mind to the real possibilities of what might happen during a long-term disaster or collapse situation. These stories play a pivotal role in society’s evolution, and can play in equally important role in your prepping evolution. It should come as no surprise, then, that the Survival Game genre has taken off in recent years as well. Some of the most successful and popular indie hits are survival games, and AAA forays into the genre have spawned global phenomenons like Fortnite, for better or worse. While the survival genre has had its time in the spotlight – it seems like the current fad is battle royale – for a while every studio was dropping a survival title. Staples of these games are intricate crafting mechanics, stats which track hunger, thirst, fatigue as well as an emphasis on shelter construction. All of these strike the core of what actual survival is about, and while these games make concessions with realism since their primary purpose remains to be fun and entertaining, they’re still an interesting and intimate look into post-apocalyptic scenarios. We’ve collected a list of the best survival games you should try if you have an interest in prepping. Rust is one of the old guard, a game from the earlier years of the survival boom in the gaming industry. Like most survival games, it was initially launched as an early access title, and the full release only happened a year ago, but it and its community has been around far longer. Looking back at it, Rust may seem stereotypical, but it’s important to remember that this is the game that created those stereotypes. Set in a vast open world with various biomes and environments, you are given a singular objective – survive. The game features a deep crafting system which has you creating the absolute simplest tool required to gather food, hunt game and set up a basic shelter and campfire. As you create more intricate tools, you can proceed to build more advanced equipment and shelters. 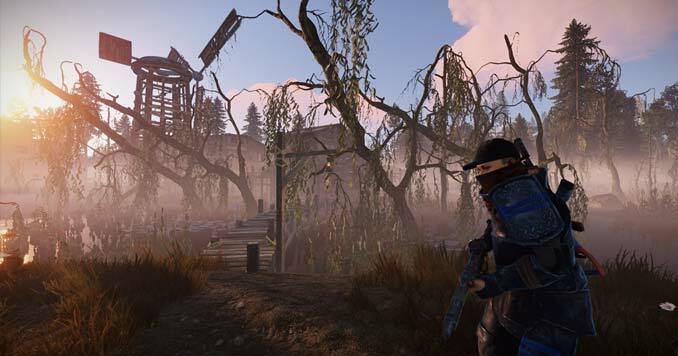 As a multiplayer survival game, you share the ruined world of Rust with other players. Just like in a real-life scenario, you can’t know in advance if these people want to team up for better chances of survival, or kill you for your stuff. Working together grants you safety, access to one another’s supplies which might allow you to improve your shelters and equipment, but it also requires an element of trust. You can buy Rust on Steam. The Long Dark sets itself apart from Rust in a number of ways. The stylized art direction gives it a unique visual voice as opposed to the generic, but realistic look of the other title. It’s a single player experience, and it also has an actual narrative going on – though there is a standard survival mode that omits the storyline. Set in the frozen Canadian wilderness, keeping warm is added to the long list of things you need to pay attention to in order not to die horribly and alone. Supplies are scarce, the dangerous wildlife is out to get you, and the weather is possibly even more dangerous than the bears and wolves. Like other survival games, crafting is a major element of the game, and you’ll need to make sure your character has access to all the necessities of living. 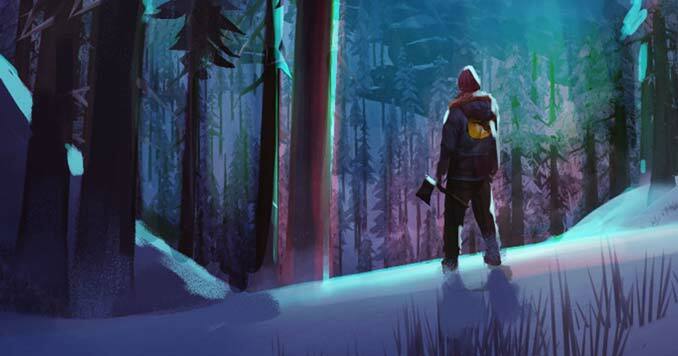 The Long Dark is one of the most critically praised titles in the survival genre and with good reason. Few others capture the absolute threat that nature alone poses – you don’t need zombies, mutants, an invented bio-weapon, aliens or anything else that is similarly otherworldly to raise the stakes. The Long Dark shows us that lacking amenities like electricity, running water, gas, general stores and so on is already enough to make survival a struggle. For every survival game without them, you can bet that there are at least five others with zombies. A legitimate subgenre of its own, these zombie survival games became just as numerous as the undead won’t to due to their universal popularity. There was a time when releasing a survival game with zombies as enemies will guarantee sales, and we were flooded with these titles. 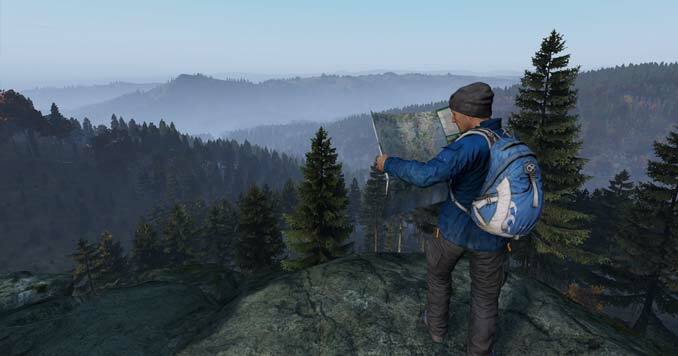 DayZ is one of the earlier such games and spent five years as an early access title. Before becoming a game of its own, it was a mod for ARMA 2, a realistic military shooter. It takes the basics of a survival game – crafting, health stats, open world, scarce resources – and adds infectious undead into the mix. Just like the apocalypse itself, zombies are an eternally popular element of entertainment. Though it has had a long and troubled development cycle, DayZ is still one of the most played and iconic zombie survival games. Like Rust, this is a multiplayer title and known as one of the most cutthroat virtual worlds where other players just may be the greatest threat the game can throw at you. You can buy DayZ on Steam. For die-hard fans, there is a new version set to release this year called DayZ – Every Day is a New Story. 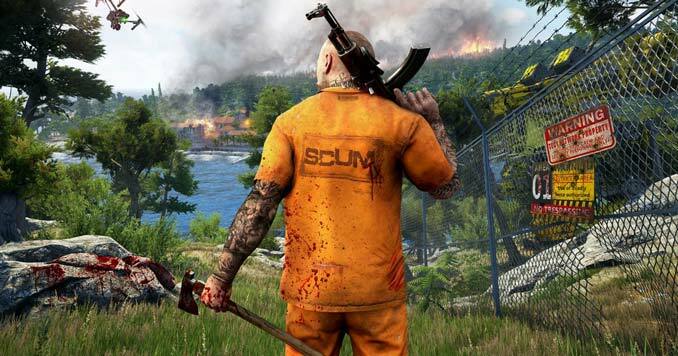 Scum is a more recent addition to the long list of survival games out there and is also one of the most realistic to boot. Once again, zombies and mutants are out of the equation. The premise of Scum is that in the near future, death-row prisoners are given a chance at freedom by participating in a televised game-show of sorts, where they are dropped on a remote island with the sole purpose of survival, with no rules. Killing others for their gear is common and allowed. Scum has one of the most in-depth character creation and stat systems seen in gaming as a whole, not just in survival games. A mind-boggling amount of biometric information is available about your character, and the systems are intricately interwoven to represent the effects of the wild environment on our bodies. No other game measures your heart rate, or tracks how full your stomach is with a percentage. The game is being constantly updated with new content and has a very lively community. You can even rent your own servers, giving you more control over who you play together with. While some of the intricacies of gameplay to add unnecessary clutter, at the end of the day, this still is one of the most in-depth survival experiences. You can buy Scum on Steam. 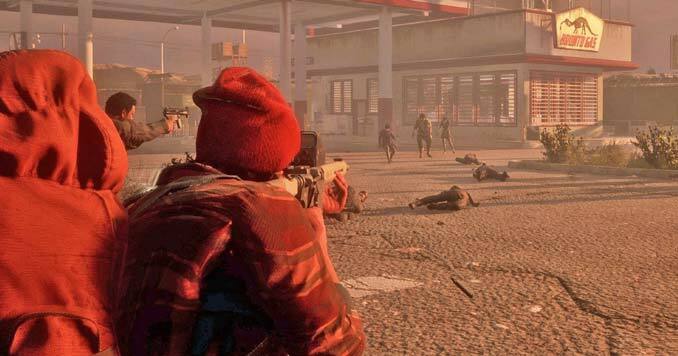 The big twist in State of Decay 2 compared to other zombie survival games is that you control not one survivor, but a small crew. In any kind of survival situation, we call upon our personal skills and experiences to help us through the ordeal, but we’re all different and have different skills to add. State of Decay 2 turns this into a gameplay mechanic, as you are never alone and you control several survivors working together, with their own abilities and skills. As you play, it’s not just supplies, weapons and food you need to look for, but other survivors with valuable skill-sets that would add to your crew’s survivability. This also adds a greater measure of moral dilemma. Each new survivor may bring new abilities into the fold, but they’re also another mouth to feed, another body to clothe. If you find someone who doesn’t have anything valuable to add, do you leave them behind? If you find a new survivor, who does something an existing member does, but better, to you cut them loose in favor of new blood? Last but not least, we have the survival game which may be the least realistic, but the most entertaining and visually impressive. 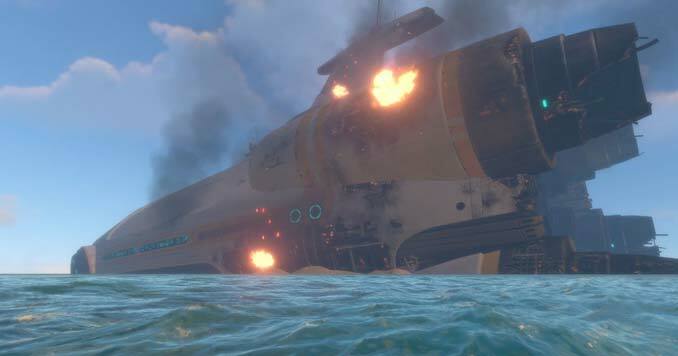 Subnautica is far-future Sci-Fi title, where you play as a shipwrecked astronaut. Your vessel crashed on an alien planet dominated by ocean, with rich and dangerous underwater fauna. You need to salvage equipment from the wreckage of the spaceship to get a start, but later you’ll need to look elsewhere for resources with which you can build your underwater sanctuary, your submarines used to explore the seabed, and other equipment. Since sci-fi tech requires a lot of power, and your base needs to be heated and supplied with oxygen, securing power sources is a major challenge. The game is also stunningly beautiful. Vast, primal coral reefs teem with alien aquatic life, full of vibrantly colored fish and bioluminescent plants. While these animals are a food source, many are also dangerous. As you use up the supplies closest to your base, eventually you’ll have to swim farther and delve deeper, and the further you get from the surface the larger and more violent the fish will get. Some of the most dangerous enemies are massive deep-sea leviathans that can wreck your sub and base with ease. While these six are among the best the survival genre has to offer, the selection beyond them is vast, with plenty of titles offering their own unique settings or gameplay decisions. While the games we’ve listed should last you quite awhile, there are more than enough titles to delve into after you’re done with these ones. Fallout New Vegas – A post-apocalyptic survival game that wakes place in Nevada, California, and Arizona. Tom Clancy’s The Division Survival – Based in New York City, during the aftermath of a smallpox epidemic the player must find shelter, fire and warm clothes to resist the cold as long as possible. Far Cry 5 – Fan the flames of resistance and fight in the ultimate SHTF cult saga. Are Video Games an Effective Preparedness Training Tool? Editors Note: I know this article is a little different from most on the site, and while personally, I find it hard to get into most videos games, they can play an important role in survival and preparedness training for some people. While nothing can replace physical training, video games are starting to become a popular way of training the mind for specific survival and disaster scenarios. Playing action video games trains people to make the right decisions faster. In a study out of the University of Rochester, researchers found that playing video games was an effective training regimen for speeding up reactions in many types of real-life situations. And according to research published in Psychological Science, playing action-based video games can boost the players’ visuomotor-control skills. Video games have become a survival training resource that can’t be ignored. In fact, the U.S. military has even encouraged its troops to play first-person shooter style games as a way to maintain combat readiness when not on active duty. The US Defense Advanced Research Projects Agency (DARPA) is looking at using video games as a way to improve human strategies in warfare. Perhaps one of the best known video games created by the US Army started as a project called C4. C4 was originally developed by the military, ICT, Sony Imageworks, and Pandemic Studios as a way to help teach soldiers squad tactics. The game was eventually repackaged and sold publicly as Full Spectrum Warrior on Microsoft’s Xbox. The military even announced its intention to create a military-branded esports team made up of active personnel, reservists and veterans.